It pays to stay in the GatorCare Network. Using doctors, hospitals and other providers in the GatorCare Tier 1 Network will give you a higher level of benefit coverage. All providers that participate in Florida Blue’s Network Blue are in the Tier 2 network. A list of Tier 2 providers can be found on the Florida Blue website. When searching in the Florida Blue online provider directory, please use “BlueOptions” to find providers that qualify for Tier 2 coverage under the GatorCare health plan. Use the Provider Directory links below. Most patients choose a family medicine or internal medicine doctor as their primary care physician. 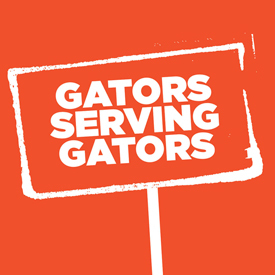 Simply say, “I am a GatorAdvantage member” when you call to make an appointment. Concerns? Call the GatorAdvantage help line at (352) 265-UFMD or (352) 265-8363.